Dallas-based Consolidated Restaurant Operations, Inc. , which previously announced they had signed a lease for their III Forks Prime Steakhouse at Terminus 200 will opening another concept as well. 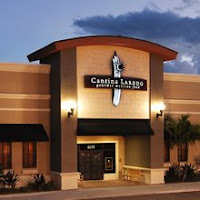 Cantina Laredo, their Mexican concept will also open in Terminus 200 next year. With no locations in the area already its hard to compare it to anything other than Rosa Mexicano, their Atlanta location being Atlantic Station. As with Rosa, Cantina Laredo will offer tableside guacamole as well as many other authentic Mexicn dishes complimented by signature sauces. Repeat Atlanta!